I haven’t been to the Hensall Spring Fair since I was a kid, so it was neat to see how it has changed over the years. This year the Fair is celebrating its 145th year, which is quite the accomplishment considering the amount of volunteers and dedication it takes to keep rural Fairs going! When I drove into Hensall, the Main Street was decorated with green and yellow ribbons. That was really nice to see how Hensall takes pride in its events. 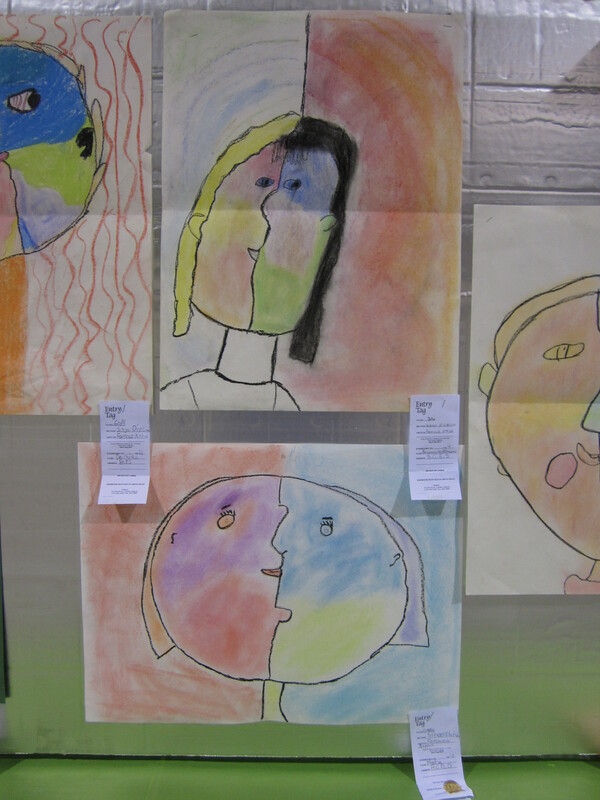 Admission to the fair is free, and in lieu of admission they accept non-perishable food donations. On the Friday evening while I was there, they had a fish fry supper, teddy bear picnic, bike rodeo, and later on an elimination draw and dance. There were a variety of vendors on the ice surface, and the local school had a food booth. There was a firefighter smoke house on the ball diamonds where kids could practice their escape in case of a fire, and there was also a pie cafe where you could enjoy a slice of homemade pie. On Saturday, a number of other events were happening including a $10 all day play pass for the kids to enjoy games and a “Baby Bean” baby show. 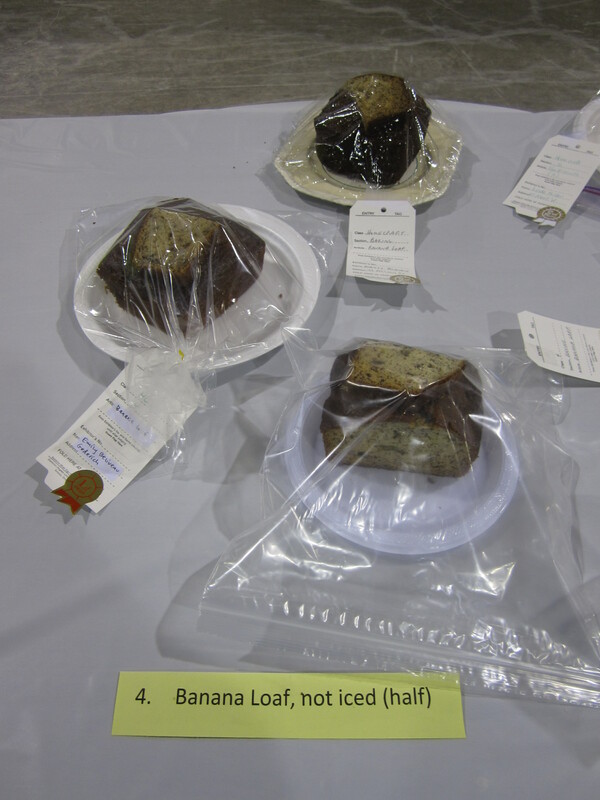 There was the usual homecraft division where kids and adults submitted baking, arts, and crafts for judging and prizes. 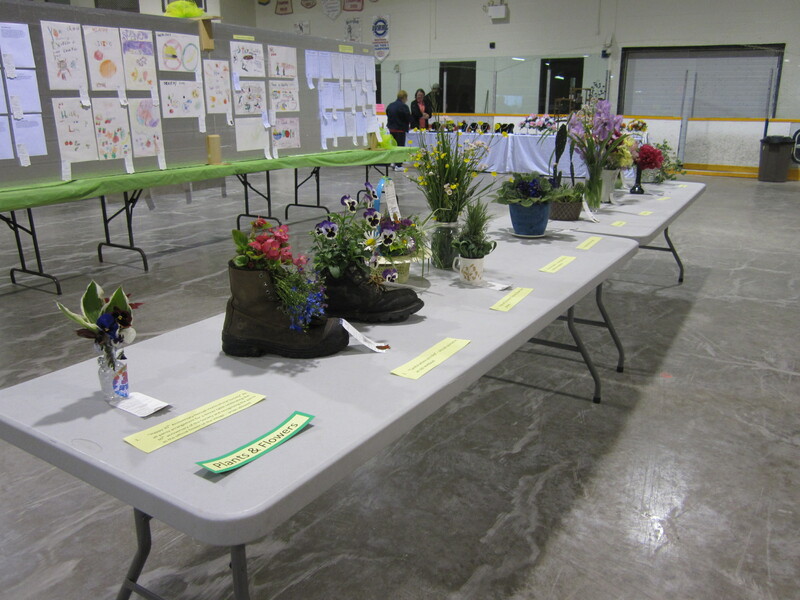 Looking at the entries reminded when I was kid and did the same for the Exeter Fall Fair. It’s nice that this tradition still continues and exhibitors get recognition for their hard work and talent. One of my favourite categories were the persuasive writing entries arguing for and against having the day off school to go to the fair (see photo). 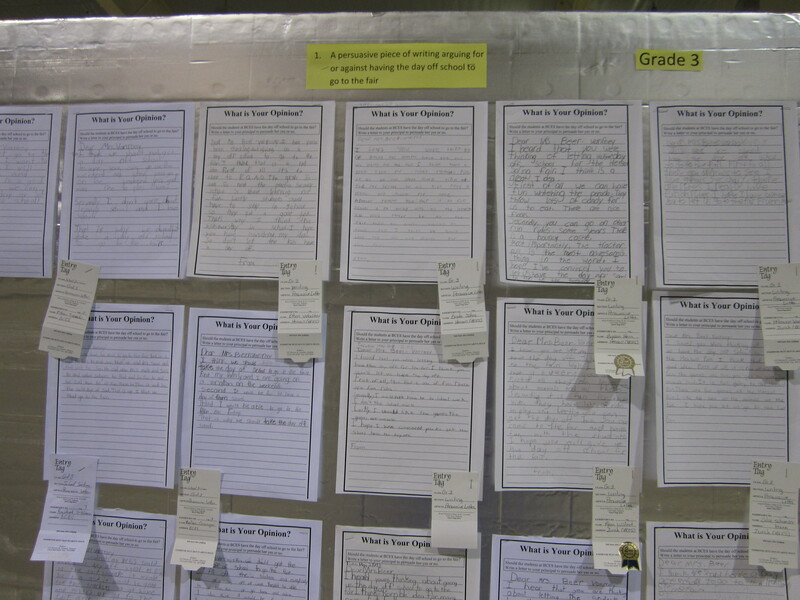 Not surprisingly, most of the Grade 3 students argued to have the day off, but there were a couple that argued against! Information about the Hensall Spring Fair can be found on Hensall’s website. The Hensall South Huron Agricultural Society (Hensall Fair) is also on Facebook. ← Getting dirty, mudbog style!